You know how in the checkout line at grocery stores in the US and AU you see things like magazines, gum, candy, drinks, little knick-knacks to buy? 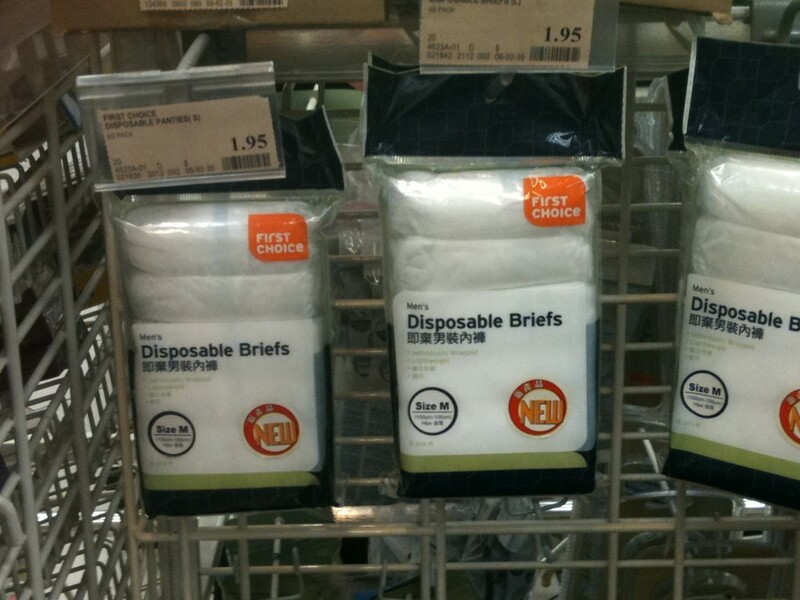 Well in Singapore you get…disposable underwear! The first time I saw them I had to look again and the next time I was sure to get a photo. I wonder if they are a top-seller here in Singapore?! For those "just in case" moments? ?